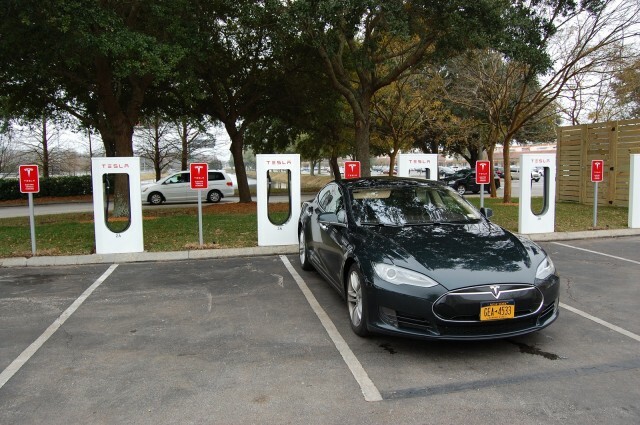 Life With Tesla Model S: Does Supercharging Cut Battery Capacity? 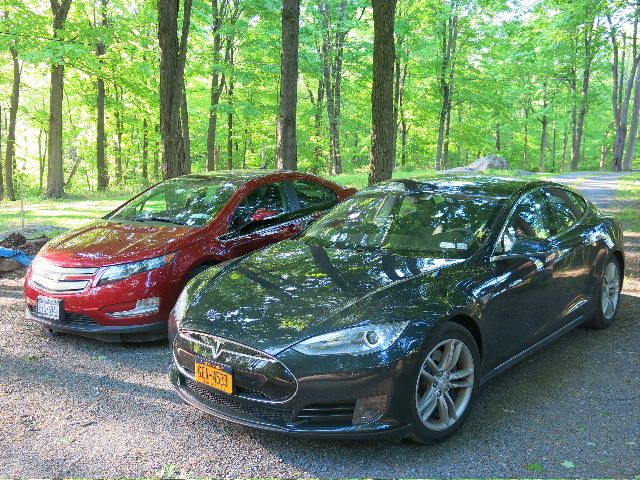 Last month, my wife and I took my 2013 Tesla Model S on a day trip from our home in New York’s Hudson Valley to Brattleboro, Vermont, a distance of 180 miles. We picked up our daughter, charged the 85-kilowatt-hour battery up to 98 percent at the Brattleboro Supercharger, and returned home via a longer, more scenic route of 210 miles. To my surprise, the return trip took almost every electron the battery could muster. 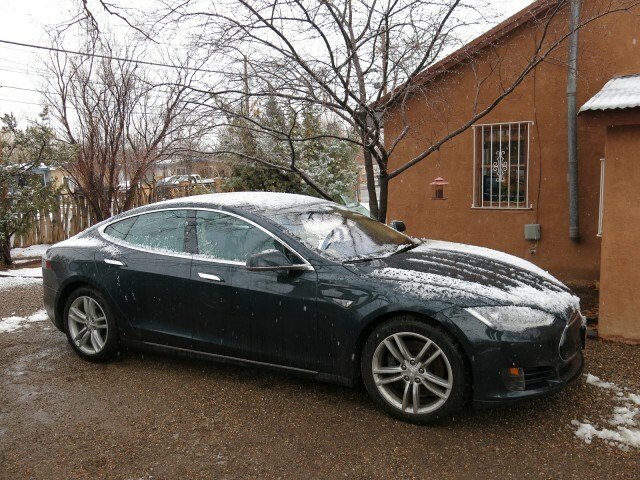 We pulled into the driveway with only 5 percent capacity remaining—roughly 15 miles of range. At first I attributed the close call to a headwind on the way home. But the efficiency readout for the return leg had showed a respectable 302 watt-hours per mile. That was only a bit worse than the 290 Wh/mi of the outbound leg, and well within my normal range for summer Interstate cruising. Looking more closely, what caught my eye was the dashboard readout for total energy used for the 210-mile return leg: 63.5 kWh. I had started with 98 percent battery and finished with 5 percent. Thus the 63.5 kWh amounted to 93 percent of the total battery capacity. That suggests the 100-percent capacity was 68.3 kWh. Wait a minute: Wasn’t this supposed to be an 85-kWh battery? What the heck had happened to the other 17 kWh? 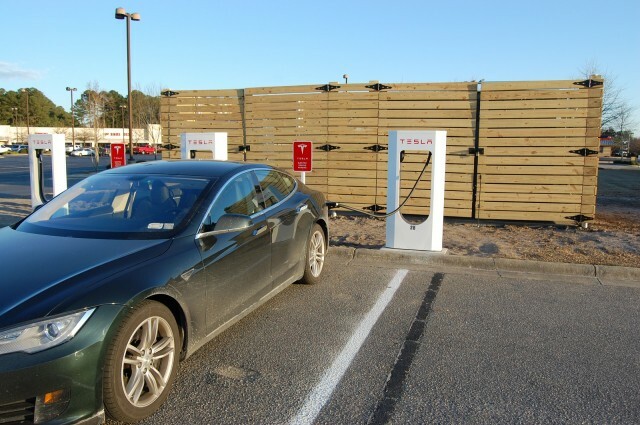 There has long been speculation that Supercharging--and DC fast charging of any electric car--can cause long-term loss of Model S battery capacity. And there is credible research to support the general idea. ALSO SEE: Tesla's Contradictory Messages: Is Supercharging Unlimited, Or Not? A 2014 study by Idaho National Laboratory of two 2012 Nissan Leafs concluded that, after 40,000 miles, the Nissan Leaf that used 50-kW fast charging exclusively had 3 percent less battery capacity than the one that used standard 6.6-kW charging. At 120-135 kW, the Tesla Superchargers are more than twice as powerful as the Leaf fast-chargers. It stands to reason that its effects on long-term battery capacity might be even greater. Was my apparent loss of battery capacity due to too much Supercharging? As it happens, I’ve done a lot of Supercharging in the past six months. 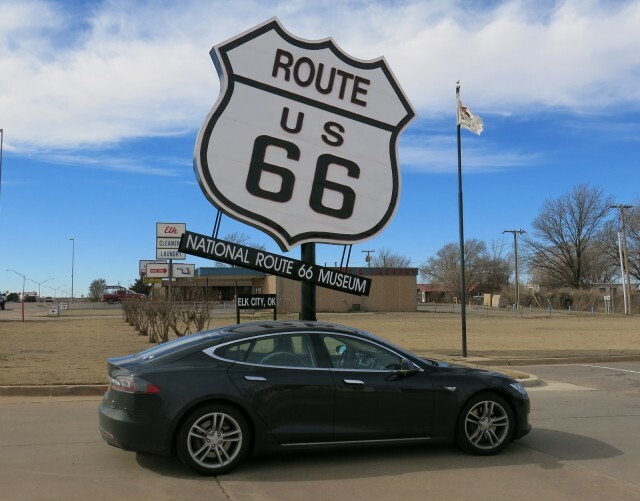 In January, I drove my Model S to California, using Superchargers most of the way. During a two-month stay, we made several Supercharged road trips along the West Coast. Then I drove the car back to New York, Supercharged all the way along I-70. 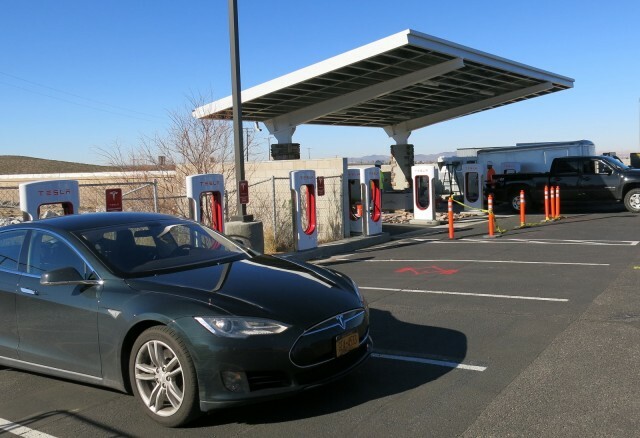 And for the past few weeks, I’ve done some local Supercharging at a new station that recently opened near me. Overall, I’d estimate that of the last 10,000 miles I’ve driven the Model S, 8,000 of them have been Supercharged. Has this Supercharging frenzy come back to haunt me? Tesla says no. (In fact, one Tesla tech rep I consulted almost shouted, “Absolutely not!”) The official company line is that Supercharging has no deleterious effect on the battery, period. But a funny thing: all three Tesla reps I talked to, including the shouter, hedged their bets. After assuring me there was absolutely no problem, each one advised me that--all else being equal--slower charging was better for the battery in the long run. When I pointed out the thundering contradiction in that statement, she just shrugged. So can I just Supercharge up to the point where I start to lose range? Before I left for California, I’d done a couple of quickie battery capacity tests during long drives. I carefully noted the kWh used in running the battery from 90 percent to 40 percent capacity, and from 80 percent to 30 percent. In both cases, I used precisely 36.0 kWh, which implied a 100-percent capacity of 72 kWh. Just six months later, after 10,000 miles of mostly Supercharged driving, my apparent capacity was down to 68 kWh—a loss of 6 percent. Every electric car battery has built-in “buffers” that prevent it from draining down to absolute zero or charging to absolute maximum capacity, both of which can cause permanent damage over the long run. The BMW i3, for example has a total battery capacity of 22 kWh, but only 18.8 is usable. My 2011 Chevy Volt used only about 10 kWh of its battery’s 16.4-kWh capacity (among the most conservative of buffers). 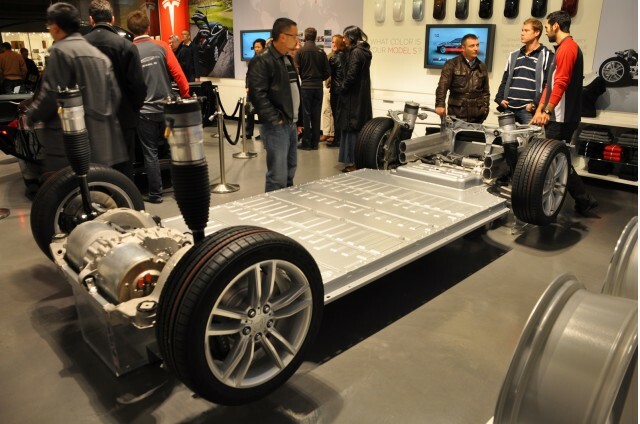 Unfortunately, Tesla has never published a figure for the usable battery capacity of the Model S.
This has led to feverish speculation among owners about the real capacity available from the 85-kWh battery. Some owners claim there’s a 5-kWh “secret” reserve capacity, good for about 17 miles, that doesn’t show up on the dashboard display. In his book Owning Model S, Tesla guru Nick J. Howe makes the case that the magic number for usable capacity is 76 kWh—plus that extra 5 kWh of secret reserve after the battery meter hits zero. I’ve not had the nerve to test the 17-mile theory, though I've read a few accounts by Model S owners who did. They ended up with their cars on flatbeds. Tesla, of course, won’t confirm the secret 5 kWh. So, lacking the facts from Tesla, I’ll stick with Howe’s number for non-emergency usable capacity of a brand-new Model S battery: 76 kWh. Overall, it looked like I’d lost about 12 percent of my battery capacity, from the presumed 76 kWh down to 68 kWh. That was not good. A recent study from the Netherlands, based on data from 90 cars, concluded that the typical Model S will lose about six percent of capacity after 50,000 miles. But here I was with double that loss after only 34,000 miles. In researching my problem, I came across yet another rumor triggered solely by Tesla’s policy of keeping useful technical information from its owners: balancing the battery pack. The idea is this: some lost battery capacity may be the result of unbalanced charge levels among the 7,000-odd individual battery cells in the Model S pack. Lost capacity may be restored by “balancing the pack”—that is, charging it to 100 percent to make sure that each of the cells is fully topped off. Tesla, of course, is mum on the subject; I’ve never seen any official word on pack balancing, and the company officially recommends against charging to 100 percent unless maximum range is necessary. 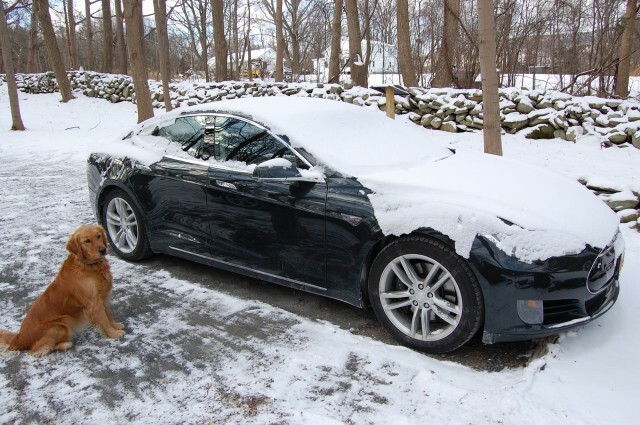 The Model S fan site Teslarati, however, recommends charging the pack to 100 percent every three months or so. When I asked at my local Tesla Service Center about “pack balancing”, I was told they did it all the time. So, after a week-long abstention from charging and a bit of judicious planning for the last few miles, I pulled into my driveway with the battery meter reading 1 percent and the projected range readout at 2 miles. I plugged into my regular NEMA 14-50 outlet, but set the charging rate to 20 amps, half the normal level. The full charging process would take about 18 hours, the longest I could manage to do without the car. Long story short: During those 18 hours, the dashboard readout told me that I’d pumped 74 kWh worth of electrons into my battery. I had apparently regained not only the capacity I’d lost from the Supercharger binge, but also an additional 2 kWh that got me all the way back to 97 percent of Howe’s number for full new capacity. Was this apparent 6-kWh capacity gain after balancing the pack real or imaginary? During the subsequent week of local driving, the numbers didn’t add up. When the battery hit 50 percent, I had used only 31 kWh and had traveled 105 miles. That implied a full capacity of just 62 kWh and a max range of 210 miles. I seemed to be losing even more capacity. Oddly, though, the “rated range” display told me I had 125 miles remaining from the last 50 percent. I chalked up this 20-percent discrepancy to “vampire” power drawn while the car was parked, which Tesla puts at about 1 percent per day. Fortunately, I had another long trip coming up, this time to visit friends in Maine. It would be the true test, untainted by any vampire losses. The round trip had four legs—two each of 160 and 200 miles. On the first leg of 160 miles, I started at 100 percent and finished at 32 percent, using 48.0 kWh in the process. That worked out to a theoretical 100-percent capacity of 70.6 kWh. Results for the other three legs were similar: 70.3, 69.9, and 70.0 kWh. That was better than the 68 kWh before the pack-balancing, but well short of the apparent 74 kWh capacity immediately after the pack-balancing process. It still looks like I’ve lost about 9 percent of my battery capacity after 35,000 miles—a lot more than the projected losses in the Dutch study. Based my experience, it seems to me that Supercharging probably does somewhat degrade the long-term battery capacity. And as for balancing the pack, it seems to work ... a little bit, sort of. But how long does the pack-balancing benefit last? That remains to be seen. What is the usable capacity of the battery when new? Is there any reserve capacity after the battery meter hits zero? What is the effect of pack-balancing? Finally, I'd also like to see Tesla provide some actual data to back up its claim—in my opinion, now rather dubious—that Supercharging does not affect long-term battery capacity.